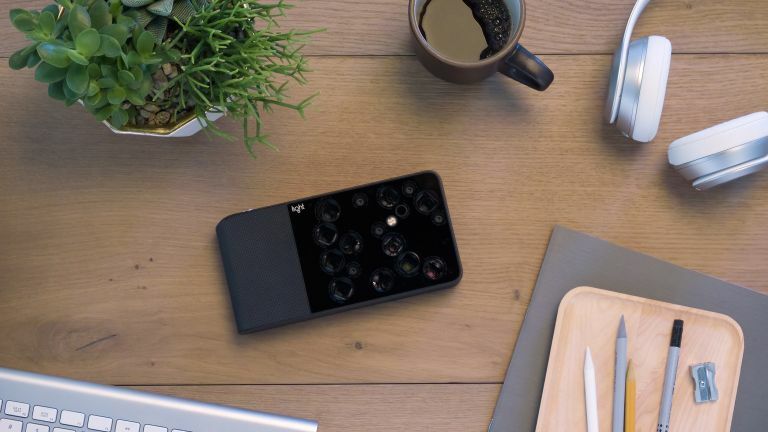 Start-up company Light is looking to revolutionise the photography industry with its new L16 camera, which, as you may have guessed from the headline, features not one, but 16 lenses. The pocket-sized device aims to replace traditional, bulky cameras. When you press the shutter, 10 or more lenses capture the same scene from slightly different perspectives with varying levels of zoom (28mm, 70mm, and 150mm). These individual shots are then fused together to create an impressive high-resolution 52-megapixel still image. The L16 isn't a one trick pony, however. Being a product born out of silicon valley, the software is designed to maximise the potential of the camera. The L16 is built on Android (although, you'll never see Google's UI) and uses a Qualcomm Snapdragon 820 + Light ASIC chip. This allows it to offer features such as 5x continuous optical zoom (between 28mm and 150mm) and, by generating a 3D depth map of the scene, the L16 will offer portrait modes like the iPhone X and Google Pixel 2. That's not all, though, as Light has taken it one step further with the ability to adjust depth of field and focal plane after the shot is taken. It's been designed to be intuitive and user-friendly as well, with a 5-inch touchscreen which gives you access to all the settings, and very few physical controls. This has clearly been influenced by smartphones (which is no bad thing), and just like your smartphone, Light will also push wireless updates to the camera for improved performance and features. For example, devices will soon get 4K video. A 4120mAh internal battery is good for up to eight hours of charge, and the L16 has connectivity covered with GPS, Wi-Fi and Bluetooth. Like the idea of this DSLR-killer? The L16 camera is available in the UK for £1,850 on Light's website. If you buy an L16 between 19-31 March will receive a 30% discount.